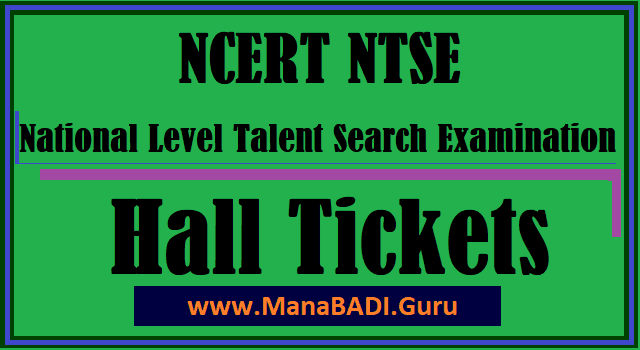 TS NTSE Exam 2017 Hall Tickets/ TS NTSE Hall Tickets 2017 for Stage II National level NTSE Exam on November 5: The state level National Talent Search (first level) Examination 2017 Notifications was issued by the office of the Director of Government Examinations, Hyderabad, Telangana in August, 2017. The State Level National Talent Search 1st level Examination for 10th class students will be conducted on 05-11-2017 (Sunday) from 10.00 AM to 01.00 PM in Telugu/ Hindi/ Urdu and English media at all the Headquarters of 10 Districts of in the Telangana State. Telangana NTSE 2017 examination will be held on November 5th, 2017 by 10.00 am to 1.00 pm. Now the Telangana state Board officials will uploade the NTSE Examination 2016 Hall Tickets on its official website bsetelangana.org. Telangana State applied NTSE Students can download their hall tickets from the bsetelangana.org website. Here also we have provided the downloading links. So candidates can download your hall ticket given in the following links. First Telangana students can visit the BSE Telangana website by entering the url www.bsetelangana.org., then bse website will be appeared Students are advised to should fallow the given steps.